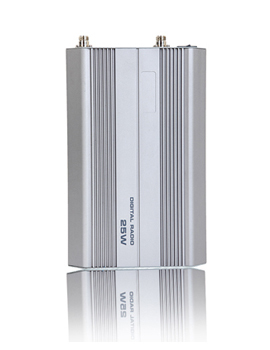 An indoor DMR and Analog dual mode repeater in a compact design, embedded with a power supply and optional mini duplexer. Its innovative design enables it to easily support wall- mount installation with AC/DC power. Multiple sites can connect via IP along with the RD982 to support flexible wide area and large building coverage. Integration with Hytera Dispatch System or other 3rd party GPS dispatching software can be achieved by the RJ45 port in the side of the repeater.